Kawhi Leonard and DeMar DeRozan might be trading places, but neither of them are winners in this deal. Will Leonard embrace a future in Toronto, or will this only be a one-year stint? 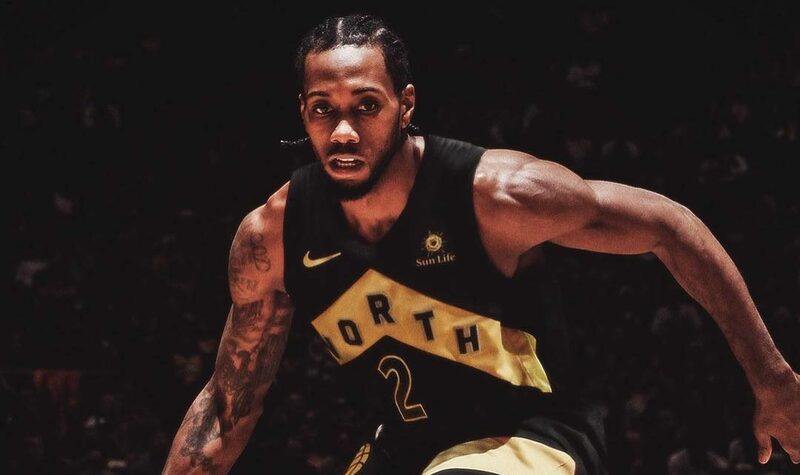 Because we all know Kawhi’s heart is draped in purple and gold. Who are the winners and losers of the deal? Which teams will be inadvertently effected by the deal, for better or for worst? Obviously, they got a gem in Kawhi Leonard. But then again, you can look at it this way. They gave up a lot for a player who really doesn’t want to be there. But he is there, and adding a superstar of that calibre to last season’s #1 ranked team n the Eastern Conference gives you a serious crack at the chip. They entered this summer without cap space — not that ext year will be any different. But getting Leonard on a single year deal can open up their options beyond 2019/20. the addition of Danny Green has flown under the radar — this guy is a jet, and a steal for the Raps. They only sacrifice a small portion of their future in the trade of Poeltl and a protected first-rounder. They clearly win this trade. Leonard is not a member of the Lakers. That in itself is a win for the Clippers. It gives LA’s other team a serious shot at the star, now that he’s been traded elsewhere before he could reach a deal with their court-sharing Lakers. The Clips could be the team that turn Kawhi’s LA dream into a reality. While it would have been better to secure Leonard this year, they simply didn’t the inventory to make the deal happen — plus the Spurs were not going to trade Kawhi to a team in the West, anyway. But the Clippers will have north of $60 million in cap space next summer — a great attraction for the then free agent Leonard. Dallas Mavericks, Denver Nuggets, Los Angeles Clippers, Memphis Grizzlies, Phoenix Suns. Getting into the post season might be a little easier. Maybe. San Antonio still won 47 games without Leonard’s presence. DeRozan has made it very clear that he’s not happy about the trade; his Instagram story yesterday brings a tears to the eye. Apart from maybe Vince Carter, no one else has owned being a Raptor quite like him. For the fans, it’s shattering, but for DeMar, expect him to come back in 2018/19 with a vengeance. Leonard is still focused on Los Angeles. Does that mean he’ll sit out the entire year? Perhaps. His stubbornness is something to note, but he definately wouldn’t benefit from another year on the sidelines. He’s been quoted as saying he has “no desire to play in Toronto”, so we guess he loses this deal, too. But it’s not only the emotional side of Kawhi that takes the L. Finacially he took a shot, too. The Spurs potentially could have dished out a five-year veteran extension worth $221.3 million. The Raps, can offer him a five-year, $189.7 million deal, but it’s likely he’ll only be after a one year deal. The most any other team (aka the Lakers) can give him is four years and $140.6 million. The Spurs passed up the opportunity for a full rebuild in favor of taking on DeRozan and the $83.2 million he’s owed through 2020-21 with player option. That’s questionable at best—especially when they didn’t get Pau Gasol or Patty Mills off the books or secure an unprotected first-rounder in the process. Well, the Eastern conference (well, the Raptors) just got a whole lot stronger. The Loss of LeBron opened up a clear path for multiple teams, but with Kawhi now joining last year’s #1 ranked team in the East, it becomes even more difficult for these two teams to surpass the Raps.